St. Pius X Catholic School has participated in the SAACA Scholars' Bowl Competitions since 1998. Coached by Mr. George Naman, two teams of 6 middle school students compete throughout the year against public, private and parochial schools in Mobile and Baldwin County. St. Pius X has qualified every year to compete in the Super Tournament held for the top teams at the end of the regular season. An essential part of liturgies at St. Pius X are our altar servers. Trained to assist the priest and deacon at Mass, they work very hard to ensure that Mass and other liturgical celebrations at St. Pius are executed with dignity. Children are eligible to become altar servers upon the completion of the fourth grade. During the summer, a week long training camp is held to prepare new altar servers. Any children interested in serving must be trained either at camp, or by Fr. Vrazel. The basic commitment of an altar server is one weekend Mass and two daily Masses per month. The WSPX News Crew produces the morning news two days a week. The students work with Mrs. Roberts in our Media center to plan, report and broadcast the show on closed circuit television into every homeroom. The Rosary Club meets in the chapel once a week to pray for their intentions and for all school and parish members. Parent and parish volunteers supervise the students during Rosary Club meetings. 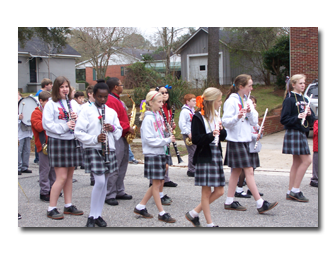 Students in Grades 5 - 8 are eligible to participate in the Elementary Band Program. Band classes meet twice a week with their instructor, Ms. Mary Anne Hall. There is a tuition for this program. Students of St. Pius X Catholic School who are not themselves Catholic, but who desire to enter the Church, are invited, assuming parental consent, to attend Sacramental Preparation courses during the year. These courses take place once a week after school on Tuesday afternoons from 3:10 - 3:45. 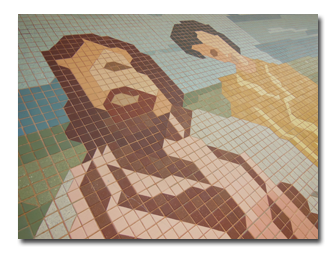 The program lasts throughout the academic year, and ends during the Easter season, when the students receive the sacraments and are welcomed into the Catholic Church. 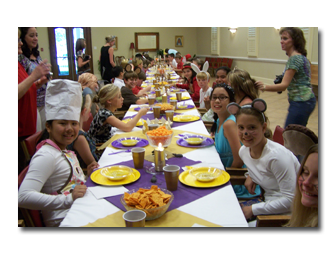 Summer Reading Camp is a week long adventure which fulfills the students' summer reading requirements. Certified teachers lead the studens as they read the books, take AR tests, and participate in hands-on activites designed to reinforce the theme of the books and to make the whole experience exciting and fun. Registration fees apply. Homework Session is held on Monday, Tuesday and Thursday from 3:00 - 4:00 for students in grades 2 - 8. It will begin the Tuesday after Labor Day in room 21. Ms. Oberkirch or Mrs. Alvarez will provide supervision and assistance to the students enrolled in this program. Homework session is especially helpful to students who participate in sports or whose parents can't make it up to school before 3:30 (when supervision ends). A one time enrollment fee of $20.00 is required for this service. Students must bring materials for homework and something to work on such as reading their library books to keep busy during this time. Students who attend repeatedly without anything to do (or who chose not to work during this time) will not be allowed to continue attending these sessions. Students may bring a small snack to eat while at homework session. Students who have practice will be allowed to change into their practice clothes prior to leaving homework session. Students who go to After School Care will be walked across at 4:00. Any students not picked up 4:05 will be taken to After School Care. Parents will be responsible for the drop-in fees if not previously enrolled.